We are Bob and Debbie of the Seattle area. 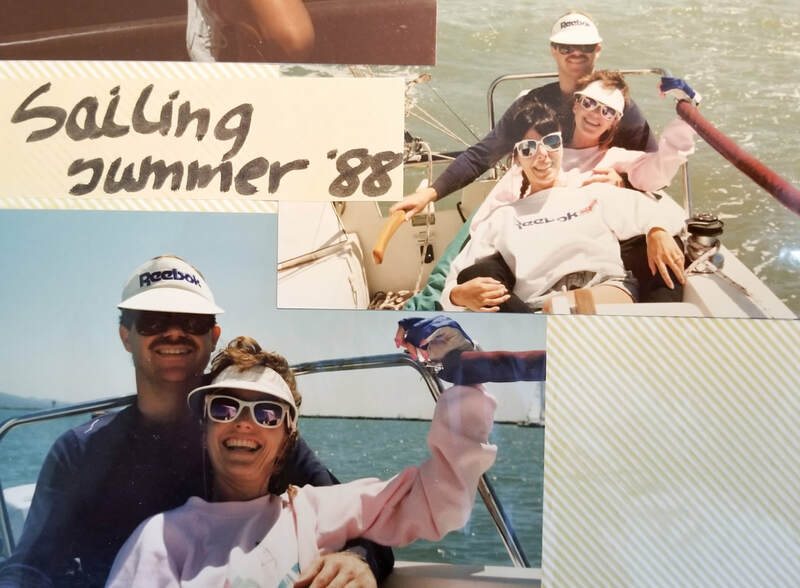 Boating has been a lifelong passion for me (Bob) and when Debbie and I got together in the 1980's I introduced her to it. 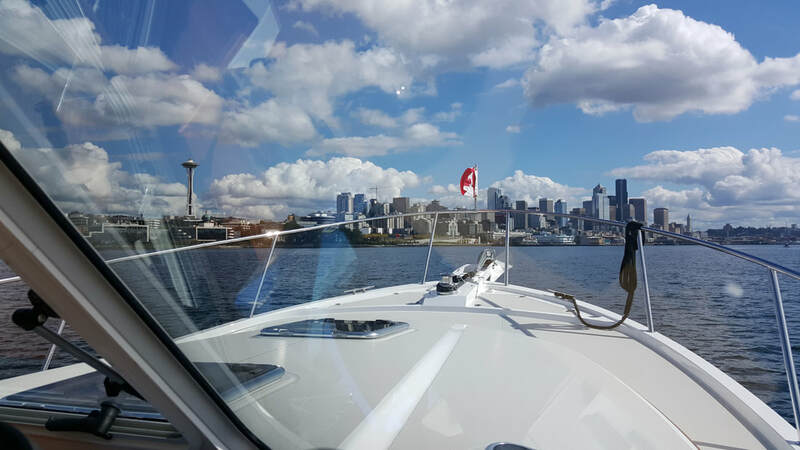 Our dream was to retire young enough to enjoy many years on a nice boat and that is exactly what we are doing with Mahalo, here in the PNW. Bob was a software entrepreneur, retiring in 2017. Besides boating, we both enjoy travel and have been to many other countries and continents. We are both Pilates and walking fans. Bob has been to all but two of the USA states. Deb's other hobbies are gardening and painting. Bob also enjoys photography and cooking. 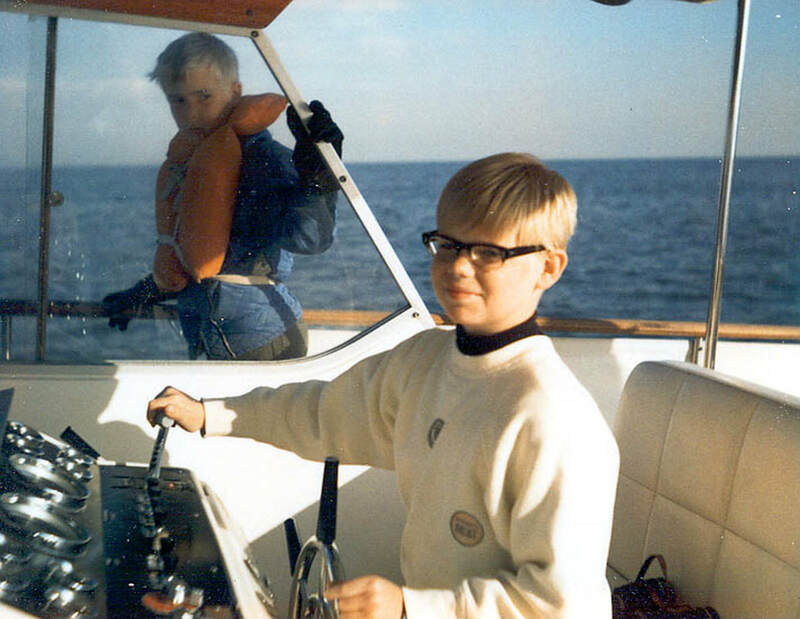 We shall tell our boating story below with pictures! 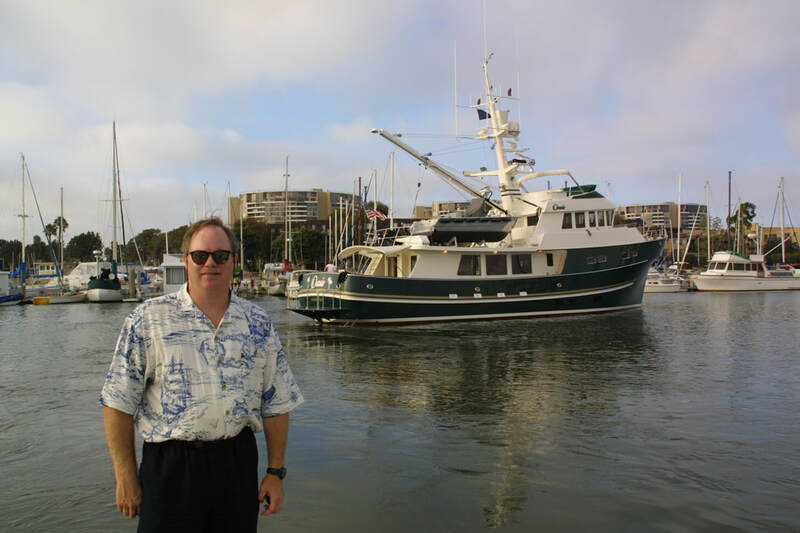 Born in the Alameda Naval Air Station, I like to say I have been boating all my life. Here I am, maybe 10 years old (?) driving my Dad's 42' Owens Aruba. My brother looking on. 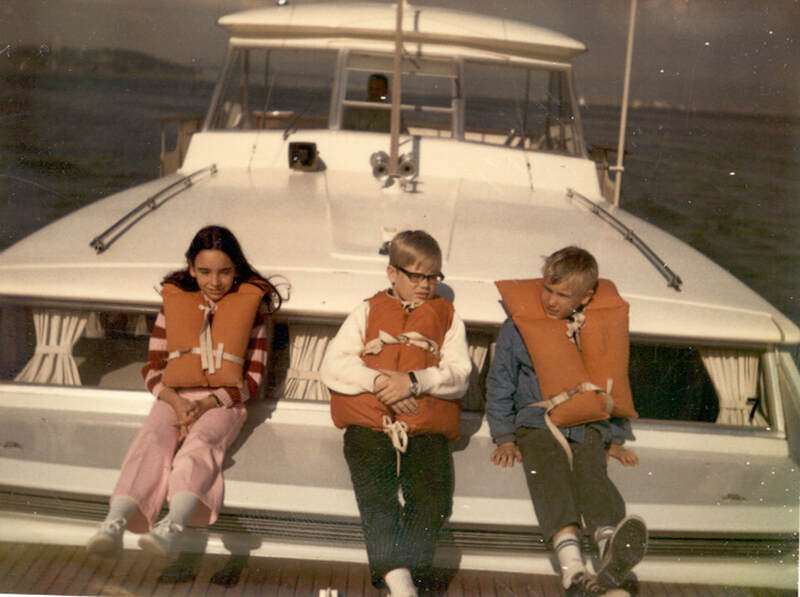 No comfy PFD's back in those days! With friend Carolyn and my brother. 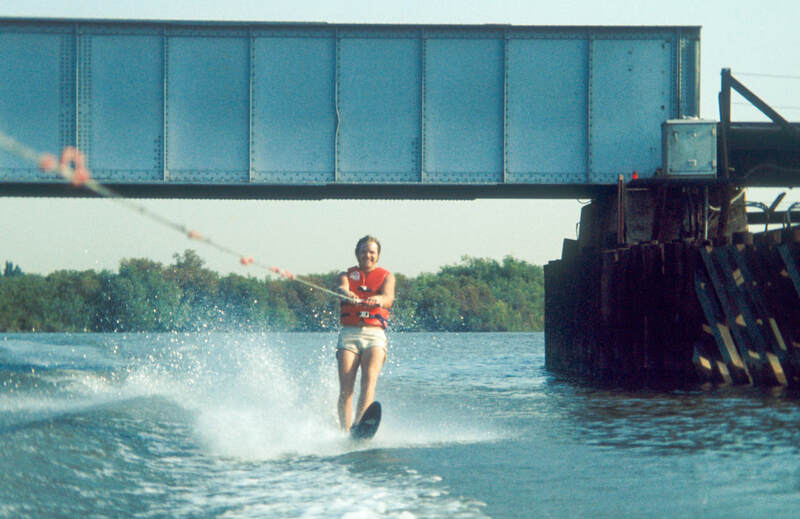 As a teenager we boated often in "The Delta," an amazing waterway northeast of the San Francisco Bay. Often at least once per week. It was close enough to head out for a ski after school or work. For my college fraternity, I organized an event called "Day on the Bay." I would charter a sailboat and take my fraternity brothers sailing. On this trip, the rigging became jammed and so "Boss Man Bob" had to go up the mast to resolve. 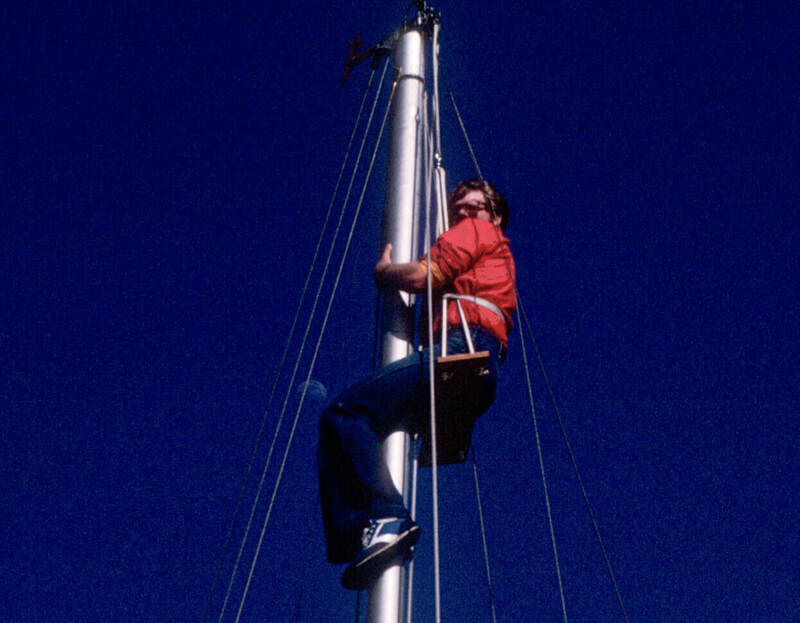 My one and only trip to the top of a sailboat mast, which I didn't really enjoy. I met Deb in 1986. 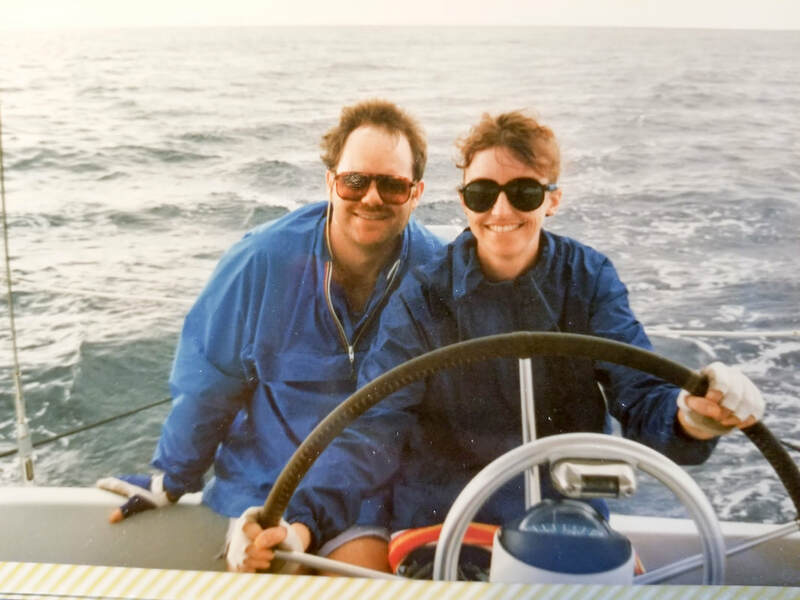 Our first vacation together was attending the International School of Sailing in the BVI. 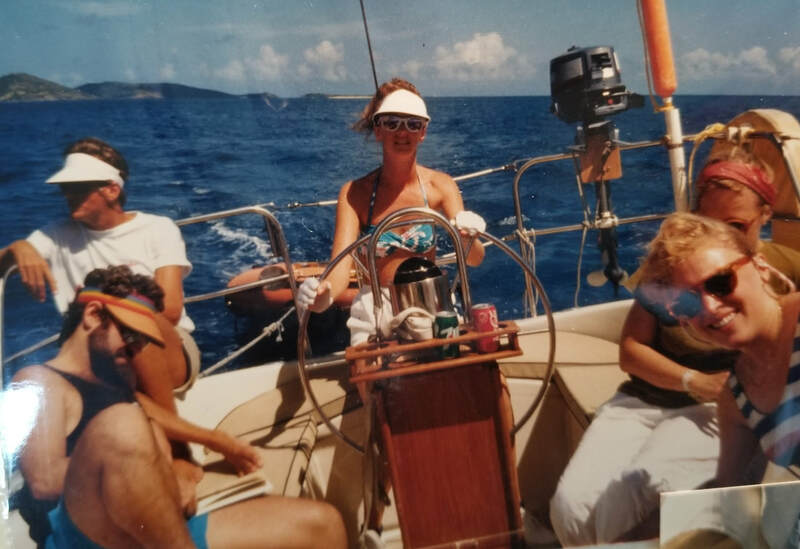 This was a liveaboard week long course with a goal of getting a Bareboating Certificate. I got the certificate and Debbie got the Mate's Certificate. Deb is steering and our instructor (left) and other students are shown. 1986. 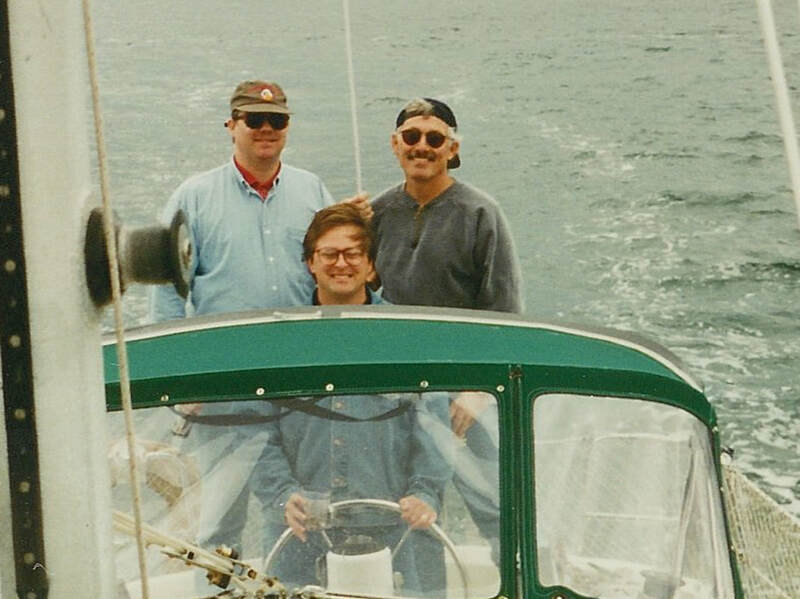 Back home in the Bay Area, my brother and I joined a sailing club and we sailed the Bay frequently. After four years of being in business on my own, I brought in two partners. Of course I had to take them sailing, right? 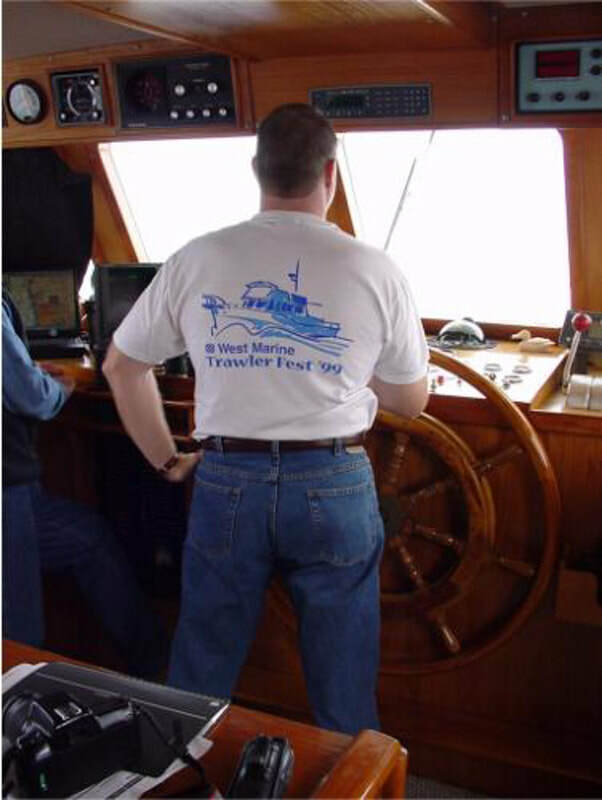 In the early 90's, the "Trawler Movement" began. 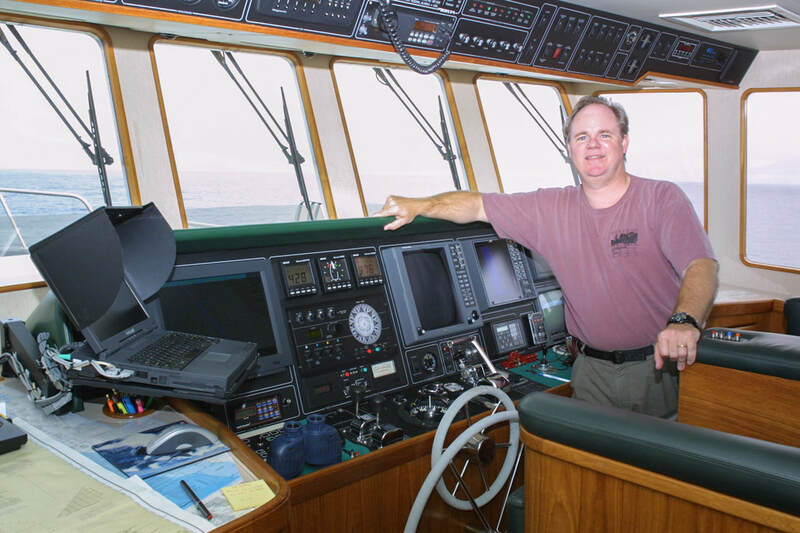 Nice yachts that were meant for serious ocean passages. Their greater room and creature comforts really appealed to us (vs a sailboat). 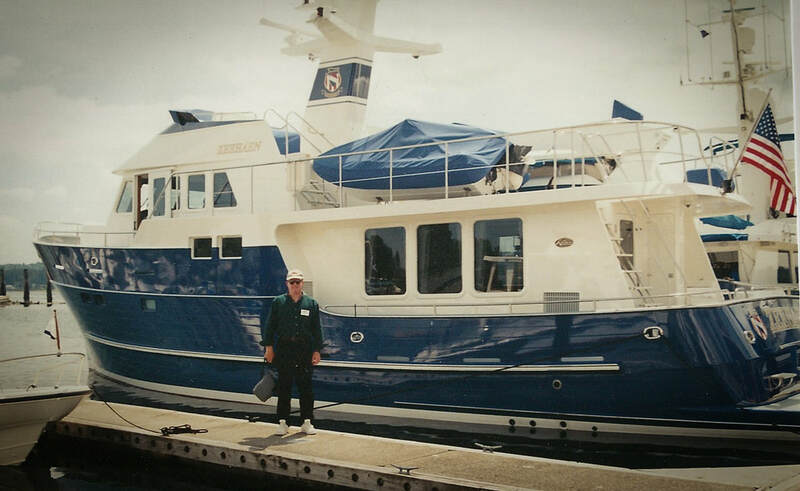 Deb and I attended what we believe was the very first Trawlerfest event, in Poulsbo WA in 1992. I went expecting to become a Nordhavn Dreamer, and although I liked them just fine I was blown away by this Northern Marine yacht. I set my sights on one day owning a boat in this class. I met the event organizer on this trip and being a young tech guy, got talked into being the webmaster for www.trawlerworld.com and the forum moderator. All I asked in return was to get intros to boaters in the community. One of the gigs I got through this association - helping the owner of this new Nordhavn 62' boat sort out all his electronics. Was fun staying on the boat and working it all out. 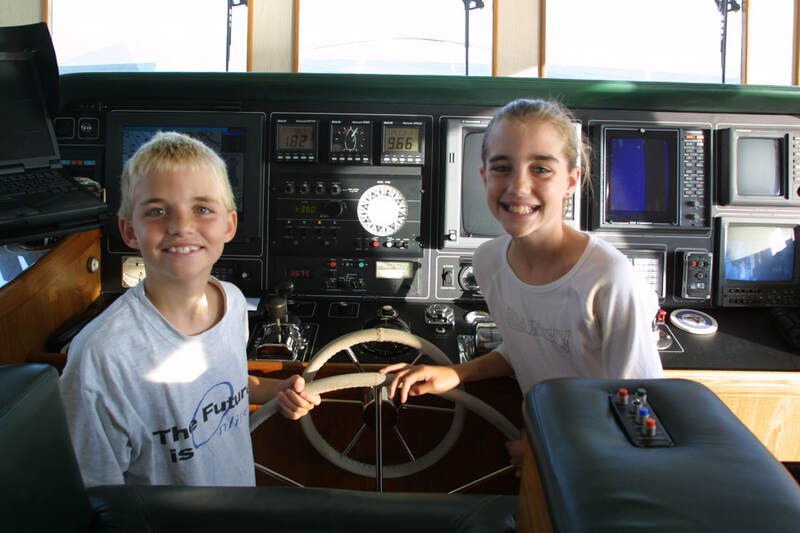 Of course we had to pass along our love of boating to our kids, born in the early 90's. 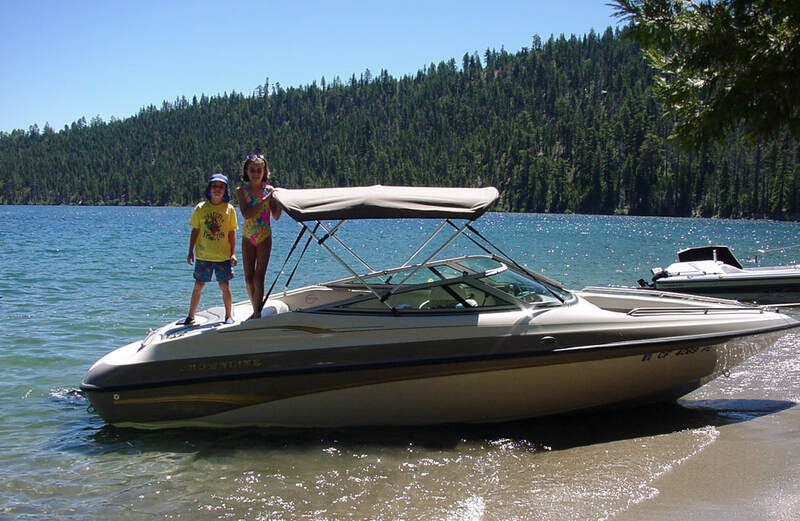 This was our family ski boat, which we used all over Northern and Central California on day trips and longer camping trips. This particular shot was in Lake Tahoe, CA. 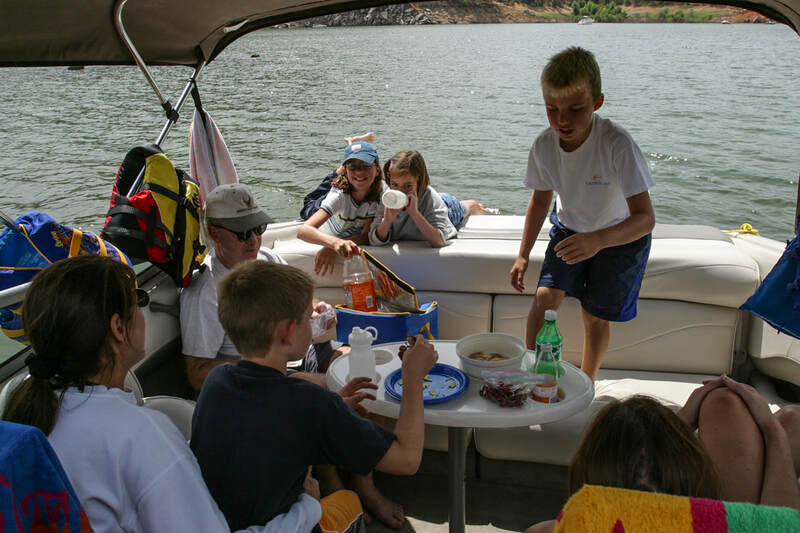 Folsom Lake was just 10 minutes from our house, so we boated with our kids and our friends pretty often. I made a great online friend through my trawlerworld.com work. He was a software guy too and we partnered on some projects for the site. 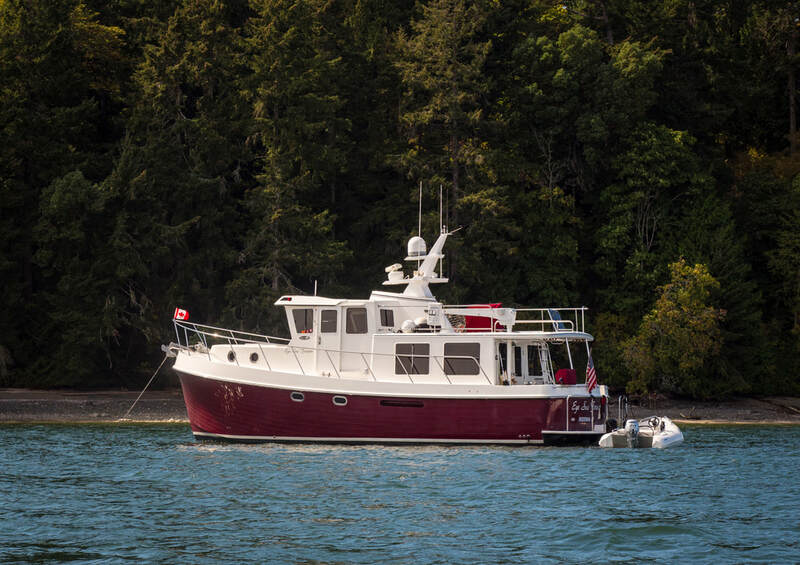 How great is it to have a friend that lends you his boat for a week in the San Juan Islands? I had been on some fishing boats in these waters a few times, but this was the first time boating here myself. Hooked! 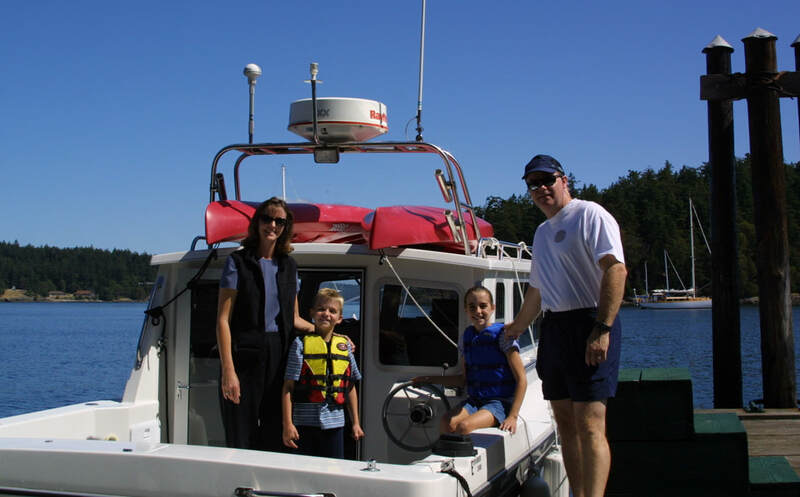 In 2000 I got another boating gig, this time helping take this boat from Seattle to Ketchikan, AK. As "payment" I asked the owner to teach me all he could and have me do as much as possible with anchoring, docking, basically running the boat. The autopilot gave out on the first day so let's just say I got a LOT of driving time on this trip. You don't want to hand steer 900 miles. A year or two later would begin the best part of my boating life to that point. 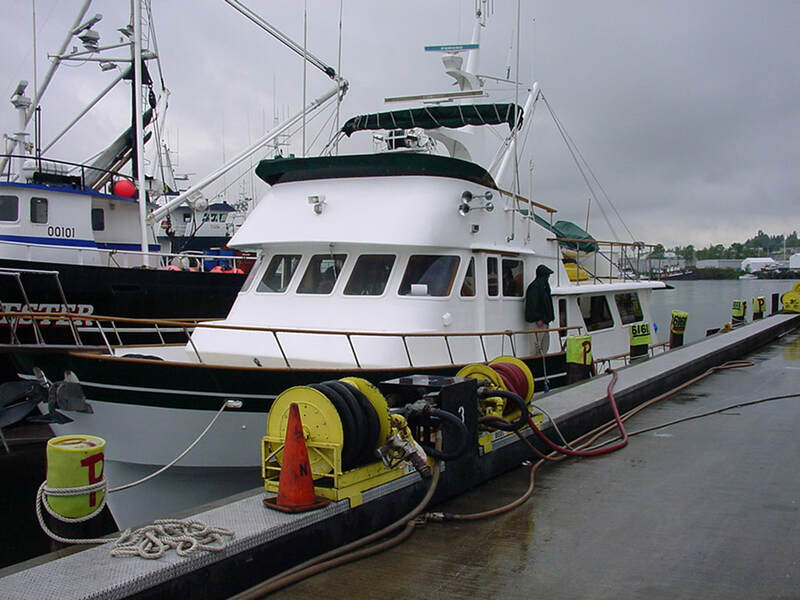 I became friends with the owner of a 70' Delta trawler, and crewed regularly on the boat. 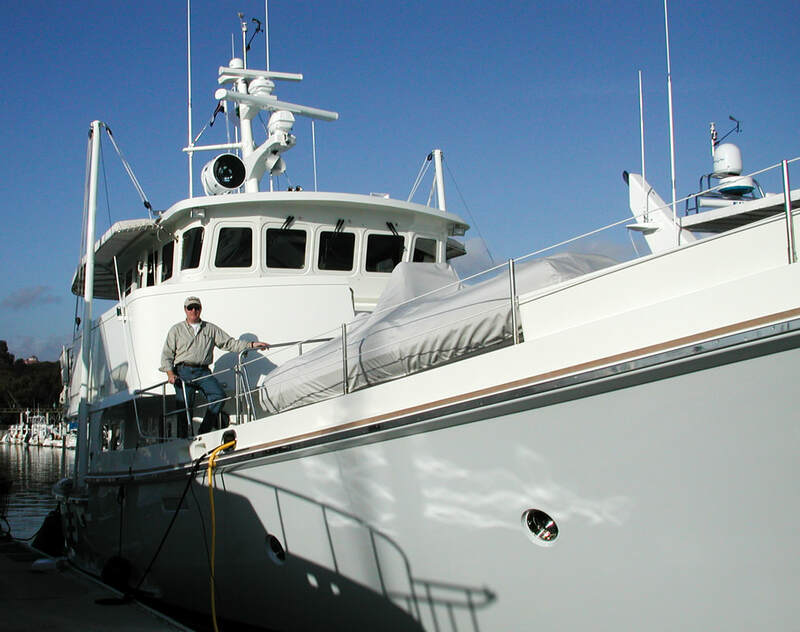 We moved the boat from Southern California to B.C each Spring and back down each Fall. His destination was always Alaska. I wasn't able to get that far up until much later. Besides doing positioning trips, we would do some fun trips too. Here we get our kids on board for a few days. Another fun trip - this time in Princes Louisa Inlet, British Columbia. I have nearly 7,000 ocean miles crewing on this boat. Up and down the Pacific coast many times, as well as Ft Lauderdale to Norfolk, VA. Very indebted to my good friend the owner who taught me most of what I know about big boat handling. In 2015 we chartered a boat that we thought might be what we want. Chartering is a great way to learn what you like and don't like. Most of this trip was spent in the San Juans. One of the boats we had our eye on was American Tug. In 2016 we chartered this 43 footer. We had toured the factory (right here in WA!) and were impressed. After a week though we realized this wasn't going to be the boat for us. 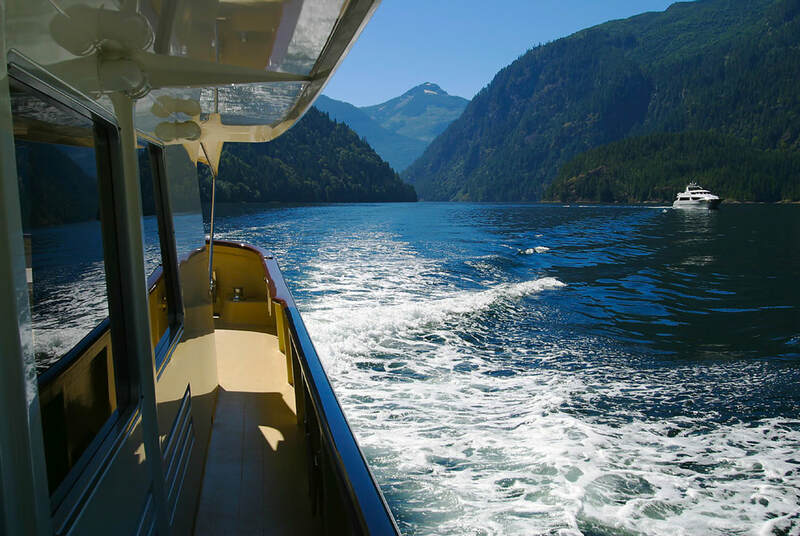 This trip was all about the Canadian Gulf Islands. We also buddy boated with friends that have a 47' Bayliner. See that smile? Deb's happiest when boating. 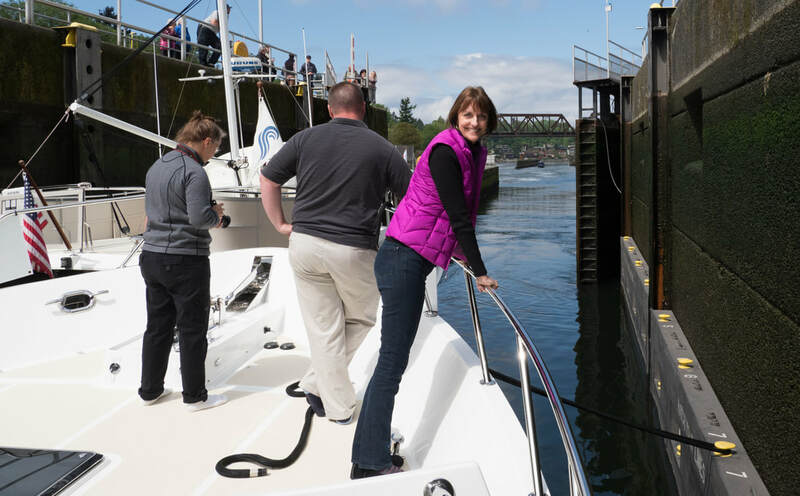 Here we are going through the Crittendon locks in Seattle with friends.